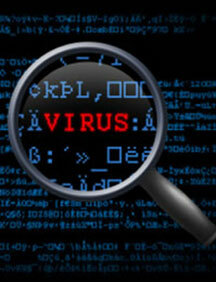 At NCOL.NET we specialize in virus, trojan and spyware removal. Nowadays viruses are much more advanced making them difficult to detect by even the best anti-virus programs like Symantec, McAfee and Trend. Amazingly, 95% of our callers have an up to date reputable anti-virus program. Our technical experts can connect to your computer remotely and give you the virus removal help you need. If you have any of the following symptoms you may be infected with a virus, rootkit or other malware. Many people are looking for virus/trojan cleaning software on the Internet and they are constantly getting scammed by paying high fees to the vendors and getting completely fake software or software that does not clean your PC and remove your virus or trojan. Don’t waste your hard earned money that may not work. At NCOL.NET we have real technicians assessing your unique situation and the virus infection on your computer. We make sure that we remove the infection and there are no remnants left on your PC. In addition, we offer a guarantee that your infection will not return after we complete our service.